More often than not, less is more, and simplicity with a touch of character highlights elegance! Riding off the Luggage Tote’s success, Celine’s Trapeze Bag is another famous best seller featuring a sleek box flap with signature luggage wings. As the luggage totes streamlined sister, the Trapeze is as functional as it is stylish. The tote has a rectangular shape, fold over flap with a gold clasp closure, a handle resting on top of the front flap, and a long detachable shoulder strap. It’s roomy enough to take with you to travel, but sleek enough for everyday use. 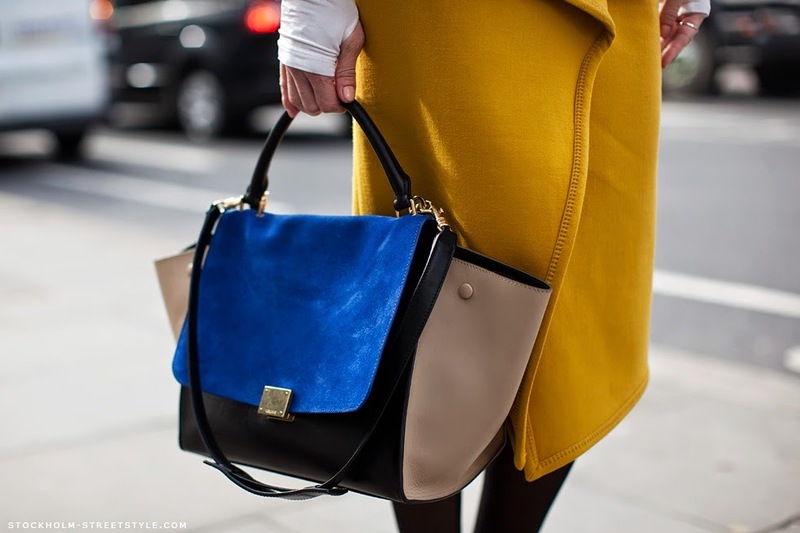 Though it has a minimalist design, you can play with colors, materials, and textures to add more character and life to your bag! I bought the black medium Croc Embossed Trapeze when it was first released in 2011 (visit post link). 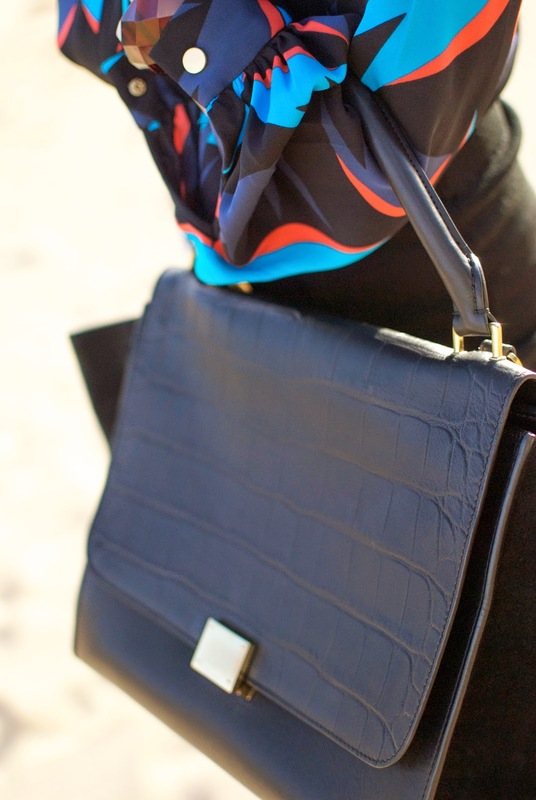 Elegant, bold, and streamlined, it’s been one of my go to totes for almost everything. The one minor setback is the top handle placement. The handle is placed right over the front flap, making it difficult to access stuff in your bag. When unzipping your bag with one free hand, it falls open, and you have to ensure your contents don’t slip out. Nevertheless, this hasn’t held me back from frequently using the bag! Photos by Tommy Ton, Adam Katz Sinding, Phil Oh, celine.com, vogue.com. style.com.